The global internationalwomensday.com digital hub for everything IWD was launched to re-energize the day as an important platform to celebrate the successful achievements of women and to continue calls for accelerating gender parity. Each year the IWD website sees vast traffic and is used by hundreds of thousands of people and organizations all over the world to learn about and share IWD activity. The IWD website is made possible each year through support from corporations committed to driving gender parity. The website's charity of choice for many years has been the World Association of Girl Guides and Girl Scouts (WAGGGS) whereby IWD fundraising is channelled. 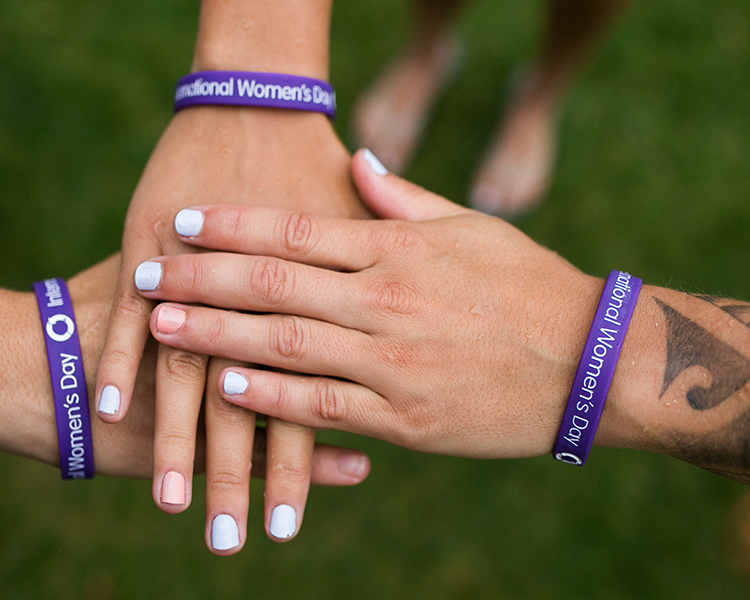 The IWD website adopts an annual theme that is globally relevant for groups and organizations. This theme, one of many around the world, provides a framework and direction for annual IWD activity and takes into account the wider agenda of both celebration as well as a broad call to action for gender parity. Recent themes have included "Make it happen", "The Gender Agenda: Gaining Momentum" and "Connecting Girls, Inspiring Futures". Themes for the global IWD website are collaboratively and consultatively identified each year and widely adopted.